The new launch Agostino boasts a thin, lightweight frame with a very modern flat design and is handcrafted for ultimate comfort. When you pair this with Serengeti®’s Ultra-Light lens featuring Photochromic, Spectral Control® and Polarized technologies, the result is clear: the ultimate classic, unsurpassed in performance and style. Serengeti®’s Ultra-Light lenses are made of borosilicate optical glass – every pair of lenses is unique and each Photochromic lens passes through a Hydrogen fueled Lehr furnace which fuses each one with Spectral Control® technology – with varying temperatures to determine the proprietary lens hue. In addition, the lenses are chemically tempered to ensure scratch and impact resistance, then ground to perfection. An anti-reflective coating is added to the backside of the lens, cancelling the scattering light that causes reflective glare. Staying true to Serengeti®’s commitment to craftsmanship, unparalleled attention to detail is given throughout every phase of the lens-making process to deliver the best visual acuity you could ever experience. 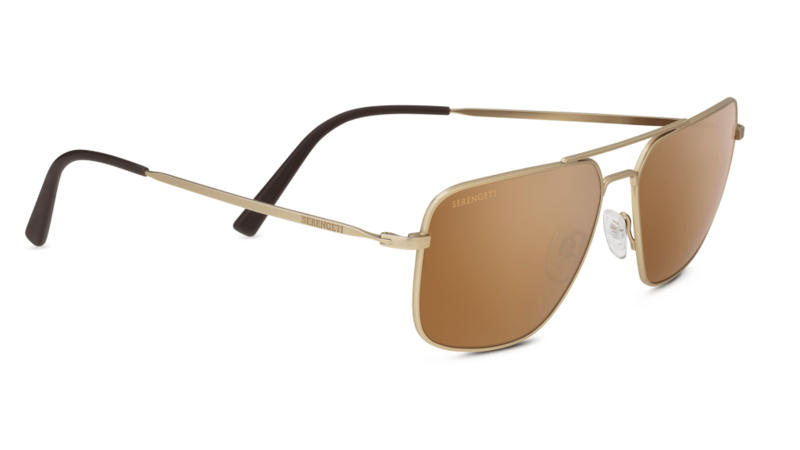 Serengeti’s lenses feature the industry leading combination of technologies that built Serengeti’s reputation: Photochromic, Spectral Control® and Polarizing technologies. Each of them brings its own benefits to eye comfort and visual acuity. PHOTOCHROMIC TECHNOLOGY As the pioneer of Photochromic technology, Serengeti® leads the industry in creating lenses that adapt to any light condition in any setting. Molecularly infused into every lens, Serengeti photochromic technology is activated by the amount of UV in the atmosphere. The lens is engineered to transition from light to dark gradually depending on the light conditions, keeping the eyes relaxed and enabling them to discern shapes and colors more quickly while eliminating eye strain. SPECTRAL CONTROL® TECHNOLOGY Serengeti’s proprietary Spectral Control® technology has featured in every single lens since the brand’s day one. This technology manages light wavelengths to give better definition of what needs to be seen. Much like an audio equalizer filters sound frequency, the technology fine tunes and filters harmful shortwave blue light, allowing more red, green, and yellow to pass through. Landscapes that would seem washed out, dull or flat with other lenses become naturally defined, vibrant and vivid. POLARIZING TECHNOLOGY When glare reflects off the road, it results in less visibility and even dazzling light, that can be dangerous for the driver while also being very tiring on the eyes. Serengeti’s Polarizing technology suppresses glare and sets the eyes free: parallel light rays can pass through unhindered, while distracting perpendicular light is reflected. This allows drivers to gain more clarity, to reduce eye-fatigue and to focus only on the horizon. UNBEATABLE CLARITY One knows that the best visual acuity comes also from the material of the lens. Some materials create distortion, and you don’t want to inflict this on your eyes. Serengeti mineral lenses offer the very best visual acuity available. Every pair of Serengeti® mineral lenses is unique and comes to life through an intense hydrogen-firing process. The lenses are chemically tempered to ensure scratch and impact resistance, then ground to perfection. An anti-reflective coating is added to the backside of the lens, cancelling the scattering light that causes reflective glare. The Burlington Arcade is a place where people with stories do business. Are These Luxury Ski Resorts the Best in the World?